Arnold Hall Conference Center – Celebrating 50 years! Arnold Hall Conference Center opened in 1964, thanks to the impulse and Faith of Fr. Joseph Musquiz , who came to the U.S. in 1949 to begin Opus Dei activities here, and who was dedicated to the initiation and growth of several apostolic undertakings. 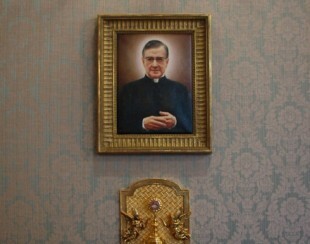 For more on Father Joseph Muzquiz, please visit: www.josephmuzquiz.org. 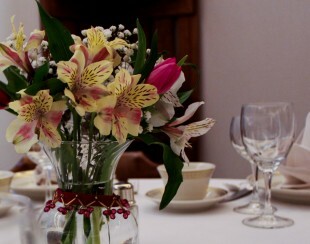 Arnold Hall is privately owned and operated by Arnold Hall, inc. a non-profit organization. Previously this peaceful, multi-acre site was home to Arnold School, a private secondary school. The Conference Center hosts retreats, workshops, classes, conferences and other activities. The Spiritual activities offered at Arnold Hall Conference Center are entrusted to Opus Dei, a personal prelature of the Catholic Church. 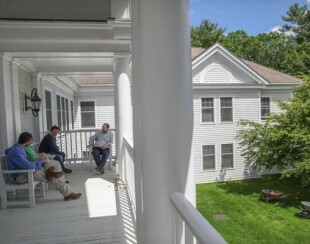 Thus, the activities held at Arnold Hall reflect a Christian outlook on life and culture. Through a wide variety of programs – men and women-in any state of life, are inspired to live christian virtues in their everyday professional and family lives. People from throughout the U.S. and from other countries come to learn, reflect and get closer to God.